J. Perry Burrus was born near Clarksville, Missouri, the son of a school teacher, W. C., in March 10, 1872. The family moved to Texas in 1875 and his father bought Shirley Mill, a buhr grist mill. He operated this mill until 1888, then sold it and went to work for the Collin County Mill and Elevator Company that had been erected by the Farmer’s Alliance. At that time this company was operating at a loss and were looking for a buyer. Burrus bought stock in the company and later added more, until he and E. W. Kirkpatrick became sole owners of the mill. Under new management it became a thriving business since wheat growing was at its peak in Collin County at that time. There was a set-back in 1900 when the mill suffered severe fire damage but that was repaired, and completely rebuilt. 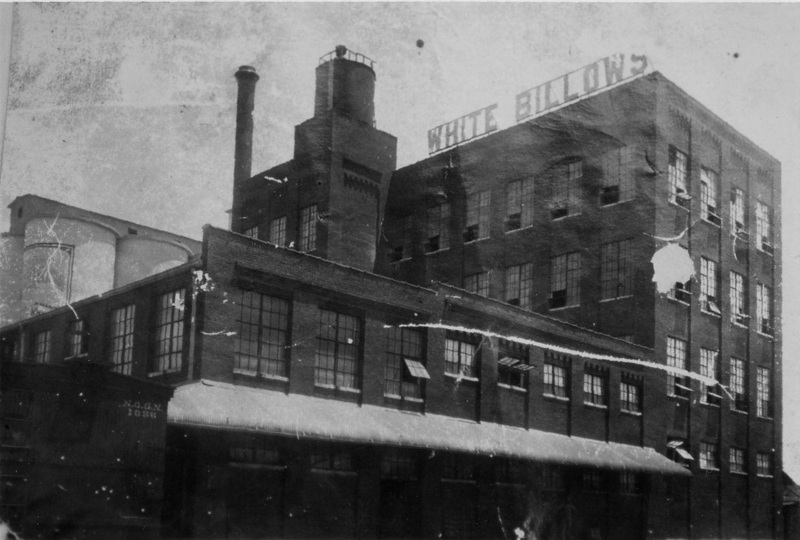 As the operation grew, they added other mills until they had the Collin County Mill and Elevator Company, Burrus Mill and Elevator Company of Ft. Worth, Morten Milling Company of Dallas, and the Fant Milling Company of Sherman. The Burrus family moved to Dallas, where they are still successful in the same business. COLLIN COUNTY MILL AND ELEVATOR CO. The Collin County Mill and Elevator Company has announced its intention to rebuild its plant in McKinney so that it will be much larger than at present and modern in every respect. The location is to be changed and the new institution will be located directly east of the Union Depot on a lot 200 feet by 400 feet which the company has owned for a number of year. The main building is to be 90 feet by 50 feet, four stories high; the first story 20 feet, the second and third stories 16 feet each, and the fourth story 20 feet high. The warehouse is to be 90 feet by 80 feet, two stories high; and the office will be on the second floor of the warehouse. The buildings will be of brick, with metal sashes and frames; the floors will be five inches thick. The engine room will be one story, 50 feet by 30 feet. The boiler room will be 40 feet by 30 feet. Both will be absolutely fire proof. Reinforced concrete platforms and structural steel sheds will surround the building, enabling easy access to cars and wagons. The elevators will cover space approximate 60 feet by 170 feet, and will be built entirely of steel and with concrete foundations.